We send our prayers and best wishes for a very happy Christmas to all the members of the Carmelite Family in Australia and Timor Leste. As always, you will be remembered at Midnight Mass at the National Shrine of Our Lady of Mount Carmel, Middle Park, Vic. We remember those victims of the recent tragedies in Sydney and Cairns – they and their families will be in our thoughts and prayers this Christmas, too. Our new novices, Estevão Mendonça De Jesus, Luis Baptista, Francisco Xavirius Vieira Martins, Luis Mendonça Maia and Estevão De Deus Gomes were received into the Novitiate on Sunday 14 December. Fr Bruce Clark (Regional Prior & Novice Master) was the celebrant. As well as the Carmelites present, over 120 members of the new novices' families attended. The ceremony was followed by morning tea with time for the families to see our house. After lunch there was some traditional tebe-tebe (dance). Some families came quite a distance - at least 4 hours on the back of trucks and faced the prospect of going home in heavy rain. We warmly welcome our new brothers and congratulate them on taking this step on their Carmelite journey. The original walking cane used by St Teresa of Avila during her journeys across 16th Century Spain arrived at the Discalced Carmelite Friars' priory in Varroville, NSW as part of a global "Way of Light" pilgrimage to mark the 500th anniversary of her birth. Our young Carmelite students in Hera, Timor Leste write and publish a newsletter of Carmelite spirituality and reflection twice a month. Under the guidance of Fr Paskalis, the 4 page newsletter features articles about Carmelite saints and topics as well as reflections on the Seasons of the Year and the Sunday Scripture. Articles are written in Tetum, Portuguese and Indonesian. Next year we hope to be able to offer some excerpts from Magnificat in English for you. Carmelite superiors from the Asia-Australia-Oceania region met in Ho Chi Minh City, Vietnam from 3-7 November. Present were Frs Benny Phang (General Councillor for the Region), Mario Esposito, (Provincial, St Elias) and Stephen Tuu Le (local superior, Vietnam), Ignatius Joko Purmomo (Provincial, Indonesia), Kuriakose Chandanaparambil (General Delegate India), Robert Puthussery (Provincial, India), Christian Buenafe (Provincial, Philippines), and Denis Andrew, (Provincial, Australia & Timor Leste). There was a general sharing of information about Carmelite life in the various parts of the Region which has some 680 professed Carmelites. Among the issues discussed were the Global Plan of the General Council 2013 -2019 and mutual support for the leaders of the Region. ASOCINE will continue as a bi-monthly e-magazine of Carmelite News in the Region. Fr Benny Phang will make a fraternal visitation of the Province from 10 to 20 August 2015. In 1956 three Carmelites from Australia, Fr William Morganti, Fr Robert Dowd and Br George Parsons travelled to Rhodesia (now called Zimbabwe) to work with the Irish Carmelites in their mission for the next 7 years. Our Zimbabwean connection has recently been renewed when Fr Jim Des Lauriers was asked to be Chaplain to the Zimbabwean community in Victoria. In October 2013 Zimbabwean Catholics gathered in Perth for a congress attended by Fr Constantine Masarira, OCarm who travelled from Zimbabwe to attend. Now available for you to download. You can download and save the scripture texts, reflections and prayers for Lectio Divina for each day of this month by clicking the link at the end of this story. Available in pdf format or eBook (for your iPhone/iPad) or your Kindle. 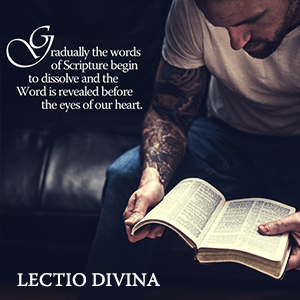 Lectio Divina is a traditional way of praying the Scriptures so that the Word of God may penetrate our hearts and that we may grow in an intimate relationship with the Lord. It is a very natural way of prayer and was developed and practised by the early monks and so came to the first Carmelite hermits. Visit our Lectio Divina page. These texts are prepared by a group of international Carmelites to help all those who use the Lectio Divina method of praying with the scriptures. Thanks to our young Carmelites in Hera, Fiona Matthews (Whitefriars College) and Sue Stuckey you can get a glimpse of life in the Carmelite community at Hera in a new video. Sue also visited Timor Leste recently helping our students continue their study of English. You can read Sue's story and watch the video here. This year's Carmelite Pilgrimage attracted 37 participants including 7 teachers from Brisbane Catholic schools. The 40km Pilgrimage led by Fr Wayne Stanhope (Director of Formation) took place from 7-10 November in the beautiful Yarra Valley. Along with other pilgrims the Leadership Team of St Ignatius' College, Toowong, the APRE from Southern Cross College, Scarborough and a Project Office from Brisbane Catholic Education Office travelled from Melbourne to Lilydale to begin their trek to Mt Evelyn. This week Carmelite formators in our Asia-Australia-Oceania Region of the Order are meeting in Manila. The meeting organised by the International Formation Commission is being held at the Institute of Formation for Religious Studies and includes some 15 formators of the Region (The Philippines, Vietnam, India, Indonesia, Australia, Timor Leste) including Fr Wayne Stanhope (Director of Formation, Australia and Timor Leste) and Fr Krisna Adjningraha (one of the formators in Timor Leste). Carmelite Communications has published the 2015 Carmelite Liturgical Guide. The Guide lists the various Carmelite solemnities, feasts and memorials as well as the usual liturgical celebrations of the Roman Calendar. The Guide is an indispensable help to those wishing to celebrate Mass and the Prayer of the Church according to the Carmelite Calendar. The hard copy version has been designed to fit inside the cover of your Breviary. In the online version below you can use the "Bookmarks" to quickly choose the current month. Whitefriars College Theatre, 156 Park Road, Donvale, Vic. Featuring Joshua Bridge, Brenna Wee, Joey Cirillo, Baily Sampson, Jareen Wee, Chelsea Elder, Cathryn Young, and Naomi Bridge. Tickets: $20, Students $15. Last chance for tickets in the Carmelite Raffle which will be drawn at the concert. Win a holiday for 8 people for 4 nights at the Hunter Valley Lodge valued at $4,500 including $500 towards flights - courtesy of Helping Hand Group and Freedman & Turner Travel Associates. All proceeds to our Education=Freedom programs for East Timor. Phone (03) 9690 8822 by Thursday for your tickets. Don't miss out! Coorparoo Lay Carmelite Community met recently to elect a new Community Council. Members of the new Council are (left to right): Jennifer Porcellini, Joy Darby, Oby Emechite, Carmel Weston (Prior), together with Fr Matthew McPhee, OCarm., community chaplain. Earlier in the year Ursula McNab and Joan Brady celebrated the 10th anniversary of their Final Profession as Lay Carmelites and the community gathered in September for a retreat on 'Carmelites: Mystics, Prophets and Servants' led by Fr Anthony Scerri, OCarm. About 50 people attended. This initiative is the result of the first meeting of the new General Commission for the Carmelite Laity and Youth of our Order. The Commission wants to strengthen spiritual formation and communications over the next 6 years. It hopes that the E Bulletin will prove to be a good way to learn more about our charism and spirituality, as well as the various projects of the laity and youth in different parts of the world. This first issue highlights St Albert of Jerusalem and includes Lay Carmelite and Carmelite Youth news from around the world, including Australia. This special issue is about the recent UN Climate Summit. Carmelite Eduardo Scarel, noted climate scientist, represented the Carmelite NGO at the Summit. Ever wondered what the Carmelite NGO is? The Carmelite NGO gives the worldwide Carmelite Family a voice in global issues at the United Nations. Founded in 2001 the Carmelite NGO assists members of the Carmelite Family in advocating on important global issues such as education, freedom of belief, human rights and sustainable development. The goal of the Carmelite NGO is to actively participate in creating a more peaceful, just and loving world by advocating and caring for the spiritual and human needs of the human family and the environment. To accomplish this, we have chosen to actively participate at all levels of decision making-- from the individual deciding what affects him or herself and family to those decisions which affect the world. The Carmelite NGO is one means to accomplish this. In a message to Bishop Jesus Garcia Burillo of Avila Pope Francis mentions the joy the saint often spoke of “in encountering the suffering of work and pain”, and how she affirmed that “the Gospel is not a bag of lead that trails heavily behind us, but rather a source of joy that leads the heart to God and urges us to serve our brethren”. St Teresa emphasised the importance of cheerful perseverance and prayer. For her, contemplative prayer was “a close sharing between friends; … taking time frequently to be alone with him who we know loves us”. The Pope remarks that this advice is “perennially valid”. “Teresa of Jesus recommended three things: to love each other, to free each other, to free oneself of everything, and to aspire to true humility”. “It is this Teresian realism”, writes the Pope, “that demands works instead of emotions, love in the place of dreams, and the realism of humble love instead of eager asceticism”. He concludes, “Let us hope that everyone may be infused by this holy impulse to travel the roads of our own time, with the Gospel in our hand and the Spirit in our heart!”. Read the full text of Pope Francis' letter. Today is the feast day of St Teresa of Jesus (Avila). 28 March next year (2015) will be the 500th anniversary of her birth in Avila, Spain. She entered the Carmelites and made great progress in the way of perfection and was granted mystical revelations. Wishing to share in the spiritual renewal of the Church of her time, she began to live her religious life more ardently and soon attracted many companions. Teresa also helped in the reform of the friars with Saint John of the Cross. She wrote books which are renowned for their depth of doctrine and which showed her own spiritual experiences. She died at Alba de Tormes in 1582. In 1970 Teresa was declared a Doctor of the Church by Pope Paul VI. On Monday 15 September nine Year 11 students, along with five staff members, boarded a plane for Dili, Timor-Leste for a ten day adventure. Even though Timor-Leste is Australia’s closest foreign neighbour, the cultural change between the two countries is significant. Wide paved roads of Australia are replaced with dust covered, pot hole ridden chaos. Motor bikes are everywhere and people drive with the sound of a horn and by pushing their way into spaces that are barely apparent. Lanes are not defined nor is the flow of traffic. There are a few traffic lights now in Dili, but for the most part it is dodgem car courage as people weave their way toward their destination. One common sight is a family of four or more on one motor bike. Mum and dad will be wearing helmets to comply with the law, but none of the children will be wearing one. Each year The Carmelites hold a special Mass of Remembrance as an opportunity to remember, give thanks and pray for those who are now in God’s care. It is also an opportunity to draw strength from each other as we gently continue the journey of entrusting our loved ones into God’s care. During the Mass you will be invited to light a candle in memory of your deceased relatives and friends and to place it near the altar. This year's Mass will be celebrated at 6.00pm on Saturday 1 November in the National Shrine of Our Lady of Mount Carmel, Middle Park. You are warmly invited to attend. The International Carmelite Communications Centre has published the second issue of CITOC Magazine for 2014.
and more. Click the link below to read more. Arda Aghazarian, a Palestinian peace activist, recently visited the Carmelite Spirituality Group at Jamberoo. In Australia at the invitation of World Vision and the Palestine Israel Ecumenical Network, Arda is an Armenian Christian living in Jerusalem. Arda highlighted the need to avoid the 'heavy energy' which can drag believers down into a hole of literalism which creates crevasses between peoples. Click the link below to read more. Searching for Peace and Justice in the Holy Land (266.44 kB). Prior General, Fr Fernando Millán Romeral and Superior General, Fr Saverio Cannistrà have launched an appeal to raise funds for the restoration and maintenance of the ruins of the original monastery on Mount Carmel. The Generals have called for a collection on 12 October in all Carmelite places to coincide with celebrations in Rome marking the 8th centenary of the death of St Albert of Jerusalem. Visit www.wadi.info for more information and photos of the ruins. The latest Carmelite NGO newsletter is now available. October 1 is the feast day of St Thérèse of Lisieux. Popularly known as the "Little Flower", Thérèse Martin was born in 1873 in Alencon, France. At just 16 years old she entered the Discalced Carmelite Convent in Lisieux. Her sisters, Pauline and Marie also joined the Carmel at Lisieux. Therese's autobiography, "Story of a Soul" contains her teaching on the 'way of confidence and love' which had great influence on the Church. Pope John Paul II proclaimed her a Doctor of the Church in 1997. You can read more about St Therese and watch a short video here. Following their Ordination as priests on 30 August in Los Palos, East Timor, Fr Angelino and Fr Martinho each celebrated a Mass of Thanksgiving in their home villages. Both Masses were celebrated with the customary colour and cultural elements common to celebrations in Timor Leste, and, of course, huge numbers of people attending and taking part. Click here to view photos from the Masses of Thanksgiving. The Little Flower Society of UK has donated a chalice to the Carmelite Mission in East Timor. The Society recently sent out a mailing with small pieces of pewter attached to the letter. People were asked to return the small piece of pewter with their donation and then a chalice would be made from the pieces. This chalice would be used in one of the Carmelite missions around the world. It was decided that the chalice should be used in the Carmelite Mission of East Timor and the chalice arrived in Australia in September on its way to East Timor. The chalice has the emblem of the Society of the Little Flower engraved on the front. Picture shows East Timorese Carmelite students Agedo Bento, Januario Pinto and Martinho Lemos with the chalice which will be taken to East Timor in November. Fr Angelino Dos Santos and Fr Martinho Da Costa were ordained on 30 August in Los Palos, East Timor, by Bishop Basilio do Nascimento. More photos from the colourful, outdoor Ordination Mass are now available for you to view. Click here to see more photos from the Ordination of Angelino and Martinho. Acclaimed theologian, biographer and autobiographer, Fr Gerald O'Collins SJ will give the 4th Carmelite Library Lecture for 2014 on Autobiography and Christianity. Writing biographies has been a Christian activity since the beginning; witness the four Gospels. But what prompted greater and lesser Christian figures into writing autobiographies? Is producing an autobiography a worthy spiritual project? Tuesday 7 October 7.00-9.00pm at The Carmelite Centre 214 Richardson Street, Middle Park 3206. Pathways, the newsletter of Catholic Religious Australia, and Kairos News Service of Melbourne Archdiocese have published reports of the Ordination of Fr Angelino Dos Santos and Fr Martinho da Costa. You can see the reports by clicking the links below. Lay Carmelites James Dempsey and John Butler have been accepted into Australia's Catholic 'Hall of Fame', Prominent Australian Catholics. Appearing on the catholicaustralia.com.au website, Prominent Australian Catholics is a list of Catholics who have made significant contribution to Australian life. John Dempsey's name links to the Lay Carmelites in Botany Bay page on this website. For the ten years between 1810 and 1820 Dempsey was virtually the centre of Catholic life in the colony. It was at his house that the Eucharist remained after the brief ministry of Fr Jeremiah O'Flynn in 1817. Albert was born in Emilia, Italy in the mid 12th century. He became a Canon Regular of the Holy Cross at Mortara (Pavia) where he was elected Prior in 1180. He was appointed Bishop of Bobbio in 1184 and of Vercelli the following year. In 1205 he was elected Patriarch of Jerusalem and soon after nominated as papal legate for the ecclesiastical province of Jerusalem. He arrived in Palestine early in 1206, taking up residence at Acre, at the foot of Mount Carmel, as Jerusalem was occupied by the Saracens. Sometime between 1206 and his death in 1214 Albert was approached by the Latin hermits on Mount Carmel for a 'formula of life' which later became the Carmelite Rule. In following the progress of her life, her journey of transformation, we come to know the woman whose life inspires and encourages us on our journey. Join our Spiritual Reading Group for this session about Teresa's life and journey of transformation lead by Adrian Jones. Tuesday 16 September 4.30-6.00pm at The Carmelite Library 214 Richardson Street, Middle Park 3206. The annual Carmelite Way Pilgrimage will be held from Friday 7 to Sunday 9 November this year. The Pilgrimage provides a uniquely Australian sacred experience of prayer and reflection through the Yarra Valley. Wednesday 17 September 7.00-8.30pm at The Carmelite Centre, 214 Richardson Street, Middle Park 3206. On 28 March 2015 we will celebrate the 500th anniversary of the birth of St Teresa of Jesus in Avila, Spain. The Carmelites of Australia and East Timor are developing a program of events throughout 2014 and 2015 to mark this important occasion. You will see a logo like this on all events which are part of the Centenary program. When Fr Angelino and Fr Martinho were ordained on 30 August in Los Palos, East Timor, they became the first East Timorese Carmelites to have done their entire Carmelite formation and preparation for priesthood after East Timor became part of the Australian Province in 2001. They are also the first East Timorese Carmelites to complete their Carmelite formation and ministerial training in Australia. For the last 4 years they have been studying at ACU Melbourne, Yarra Theological Union, Box Hill and Melbourne University of Divinity. Click here for more about the Ordination and photos. Congratulations to our new priests: Fr Angelino Dos Santos and Fr Martinho Da Costa who were ordained yesterday by Bishop Basilio do Nascimento Martins in St Paul's Church, Los Palos, East Timor. The ceremony was attend by some 5,000 people including 4 Carmelites from Australia: Fr Denis Andrew (Prior Provincial), Fr Bruce Clark (Regional Prior), Fr Wayne Stanhope (Director of Formation) and Fr James Des Lauriers (Prior of Middle Park Community). Four Lay Carmelites from Wentworthville, Rockhampton and Central Coast communities are preparing to make their Solemn Profession this year. 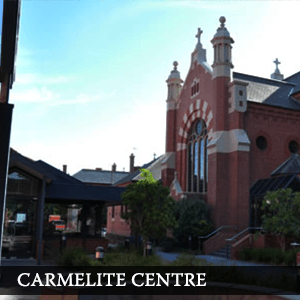 Melbourne community will receive three new members later this year and four more people are enquiring about becoming 'distant' members of the Lay Carmelites. The Lay Carmelite National Council met on 22-24 August at the Benedictine Abbey, Jamberoo, to discuss the latest developments, focussing on formation for those just beginning their journey into Carmel. During the meeting Fr Paul Gurr (Provincial Delegate for the Lay Carmelites) and Christine Wade (Moderator) reported on their visits to Rockhampton, New Zealand, Toowoomba, Adelaide, Central Coast and Wentworthville communities. Fr Paul and Fr Denis (Provincial) have also visited the ‘scattered’ Carmelites in Perth. Coming up in September: Fr Anthony Scerri OCarm will join the Coorparoo Community for its retreat and Fr Paul and Christine will lead a retreat for the Melbourne Community. Fr Paul will also be visiting the Coorparoo community in October. The LCNCA will meet again on 7-9 November. Discover a renewed appreciation of Iconography, an ancient art form used to help people pray and highlight spiritual qualities. The icon promotes a spiritual link between the human and divine. Today there is a resurgence of interest in Iconography – discover the reasons! Join us at The Carmelite Centre as Sr Maria Moravski discusses this ancient art form which leads to prayer. Tuesday 9 September 7.00-9.00pm at The Carmelite Centre, 214 Richardson Street, Middle Park 3206. Cost: $25.00. Students from Whitefriars College, Donvale (Vic) raised just on $35,000 to support the ministry of the Carmelites in East Timor. this year's Walk for Timor Leste also symbolises the College's growing link with the Timorese people and the Carmelite presence there. College Captains Jared, Adrian and Dillon presented the cheque to Br Martinho Lemos, one of the East Timorese Carmelites studying in Melbourne. Also present was Fr Wayne Stanhope (Director of Formation). Nine years after the withdrawal of the Friars a small group of Lay Carmelites is still keeping the Carmelite charism alive in Perth. Recently they were visited by Fr Denis Andrew (Prior Provincial) and Fr Paul Gurr (Provincial Delegate for the Lay Carmelites). Portia Curtin, Judy Rowlands, Antoniette Skelton, Elaine Thomas, and Judith Greer shared lunch with Fr Denis and Fr Paul. Unfortunately, Josie Canciglia and Carol Jones were unable to be present. The Carmelites are joining with people throughout the world to pray for peace in Gaza. Almighty God, heavenly Father, hear our prayers. Help us work together towards freedom, justice and peace. Fill our heart with love and compassion and help us achieve just peace without which no security can be guaranteed for anybody. Remind us that we are all created in your image, and that we can all triumph over every evil and live in your peace,and not only by human treaties and agreements. Amen. The Carmelites of Australia and East Timor launched their social media presence on the Feast of St Mary of the Cross MacKillop, 8 August. Our social media channels will be used to share our spirituality, news and information, to invite people into an experience of the Carmelite Way and to walk with them on their journey through life. Our initial tweet anouncing our presence on social media has already been retweeted to 13,303 people. On 19 July Brs Calisto Cab Sila, Carlito Da Costa Araujo and Fausto Tilman De Araujo made their Solemn Profession (life-long commitment) as Carmelites during Mass at St Joseph's Church, Hera, East Timor. The Friends of Zumalai group in Our Lady of Mt Carmel Parish, Coorparoo (QLD), raised $662.00 selling bottled water at the Parish Primary School Community Fete. The Fete, held on Sunday 3 August, attracts a large number of people and the warm weather helped the sales of water. In addition to water the stall also sold $375 worth of tickets in the Carmelite Raffle raising money for the Carmelites' Education=Freedom program for the children of Zumalai Parish in East Timor. Br Januario Pinto and Br Matthew Tonini attended Mass on 18 July at Whitefriars College as part of the College's week-long celebration of the Feast of Our Lady of Mount Carmel. Following the mass they joined Whitefriars College students in the annual Walk for Timor Leste to raise funds for the Carmelites' work in East Timor. So far this year's Walk for Timor Leste has raised: $32,305.15. During July 18 young Carmelites in East Timor and Australia renewed their profession of vows for another year. In East Timor 15 brothers made their renewal during Evening Prayer at the Carmelite Community in Hera (Dili) to Fr Denis Andrew (Prior Provincial). In Australia Br Agedo Bento renewed his profession during Sunday Mass in the Carmelite parish of Our Lady of Mount Carmel, Coorparoo, QLD. Brs J anuario Pinto and Martinho Lemos renewed their profession during Evening Prayer in the Carmelite Priory at Middle Park, Vic. All these brothers are continuing their Carmelite formation and preparation for ministry in the Church. We rejoice that these young men have decided to continue on the Carmelite Way and we are encouraged by their faith and commitment. The General Council of the Carmelites has issued a global plan for the next six years. Using the theme of the 2013 General Chapter, the General Council has called the plan, 'A Word of Hope and Salvation'. "We live at a particular time in history when the Church is calling us anew to evangelisation… we wish to accept the challenges before us, offering to the world we live in “a word of hope and salvation”, the Council said. Plans are offered for each of the geographical regions of the order: Africa, The Americas, Asia-Australia-Oceania and Europe. They are also offered for areas of special responsibility, including Communication, Evangelisation and Mission, Liturgy and Prayer, Finance, Formation, Justice, Peace and the Integrity of Creation, Laity, Carmelite Schools, Nuns and Sisters and for the revision of the 1995 Constitutions of the Order. We wish all the members of our Carmelite Family a Happy Feast Day as we celebrate the Solemnity of Our Lady of Mount Carmel. The early Carmelites on Mount Carmel dedicated their chapel to the memory of "St Mary" and claimed her as their own by adding "of Mount Carmel". They took her as their patroness, promising her their faithful service and expecting her protection and favour. They were proud to call themselves "Brothers of Saint Mary of Mount Carmel". Following this ancient tradition, next Saturday Brs Carlito da Costa Araujo, Calisto Cab Sila and Fausto Tilman de Arajuo will make their Solemn Profession of Vows in Hera, Timor Leste. During the same mass Silveste Alves, Anacleto Guterres Da Costa, Jose Natalina Freitas, Frangelino Isaias Ximenes, Agustinho Da Conceicao Lobato Lourdes and Filomena Proto Oliveira Guterres will make their First Profession of Vows. We hold them in our thoughts and prayers. More than 80 members of the Papua New Guinea Catholic Community in Brisbane joined the Carmelite Parish of Coorparoo to celebrate the feast of Blessed Peter To Rot, the first Melanesian martyr to be beatified. Members of the PNG Community led the music with traditional processions at the beginning of Mass, the Gospel and the Preparation of the Gifts. After mass the parish joined the community for light refreshments. "Everyone left the church with a smile on their face," said Fr Paul Sireh (Parish Priest). he also said that the feast day would be celebrated every year in the parish with the PNG community. Born around 1912, Blessed Peter To Rot was enrolled in 1930 at St Paul's College, Taliligap, which was founded by the Missionaries of the Sacred Heart for the formation of lay catechists. Three years later he was appointed catechist to the parish of Rakunai. Read more about the life of Blessed Peter To Rot and see more pictures from the mass. Chris Wade, Australian Lay Carmelite Moderator, attended the Australian Catholic Bishops' Conference annual national meeting of Catholic Lay Movements on 8 July at the Mary MacKillop Centre, North Sydney. "I was keen to attend and meet other people involved in church life", Chris said, "however, my main motivation was to raise awareness of the Lay Carmelites and what we can contribute to the life of the church in Australia in the 21st century." Each group gave a two minute thumbnail sketch of their group. These quick presentations were recorded for the Bishops’ further consideration. Bishop Peter Comensoli, Auxiliary Bishop in the Sydney Archdiocese attended, representing the Bishops Commission for Church Ministry. "In my thumbnail presentation, I offered the Carmelite Way of contemplation based on prayer, community and service and emphasised stillness and silence as an antidote to the craziness of life in Australia today. In conclusion I quoted Ernest E Larkin OCarm, 'The goal of the Carmelite Order [is] to live continuously in the loving presence of God.'" About 150 people gathered in the Albion Park Church, Wollongong, in response to the news that their local parish priest, Fr David Caterrall (40) has cancer. David had asked Fr Paul Gurr OCarm and Sr Magdalen osb, along with local musician, Jen Charadia, to provide an evening of music for parishioners of his parish. "I believe that shared musical experience is a healing and effective way for people to deal with the things they find difficult to grasp and manage," Fr Paul said. This was certainly true at Albion Park where, together with their parish priest, David, the people laughed and cried, danced and sang along and strengthened their sense of family as they come to terms with Fr David’s illness. We hold Fr David and his parishioners in our thoughts and prayers. 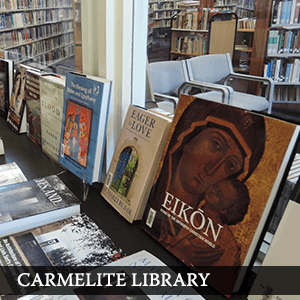 Join our spiritual reading group in the friendly atmosphere of the Carmelite Library. Max Richards will lead this session looking at Faith and Doubt in the poetry of Tennyson Arnold, Emily Dickinson, Hopkins, Hardy and Eliot. Tuesday 15 July 4.30-6.00pm at The Carmelite Centre, 214 Richardson Street, Middle Park 3206. Looking at poems of great spiritual depth by Australian Poets: Les Murray, Kevin Hart, Francis Webb, Judith Wright, Rosemary Dobson—and many others. Using these examples, Tony Kelly CSsR reflects on questions like: How can poetry refresh language? How does it refine our sensitivities to the whole range of reality? What is the spiritual and even Christian significance of poetry? Tuesday 22 July 6.30-8.30pm at The Carmelite Centre, 214 Richardson Street, Middle Park 3206. From 25 to 30 June 2014, Fr Désiré Unen, O.Carm. (Ita-Congo), Fr Joseph Hung, O.Carm. (SEL-Vietnam), Jennifer Wanjiku (Kenya), Normita Lacanilao (Philippines), José Araujo Filho (Brazil), Michele Bonanno (Italy), Juan Luis Laghi (Young People in Perú), María José García de la Barrera (Young People in Spain), gathered in Rome for the first meeting on the new Commission for Carmelite Laity under the leadership of Fr Raúl Maraví, O.Carm., Councillor General and President of this commission. For five days the group worked on the content of the global plan for laity for the next 6 years and how to put it into effect. Each member was given an opportunity to talk about the experience of the situation of the laity and of young people in the different places where the Order is working, and the needs that exist in those places. This work led the commission to form two sub-commissions, one for formation and the other for communication for the purpose of responding to the concerns and expectations of lay people on the international level. It was also decided that an International Congress for Lay Carmelites be organised, to take place one year before the next General Chapter, as well as a series of other assemblies at a regional level. One of the objectives of the commission is to give more visibility and training to lay people who are part of the great Carmelite Family. The foundation of the Mendicant Orders in the Middle Ages had a profound influence on the faithful — at that time the old monastic spirit flourished in the very midst of the people. Hence in this truly religious age, there were many who were attracted by the fervour of the Mendicants and wished to live according to the spirit of such Orders. But not all could embrace the religious life and indeed not all desired to do so. The urgent need was a form of life which would enable the faithful to live in the world according to the spirit of religious life. Thus, the various religious, their own souls burning with love of God and love for their Orders, and anxious, too, that the devout faithful should also burn with the same love, organized a movement known as the Third Order. As the Feast of Our Lady of Mount Carmel is approaching, the Prior General has written a letter to the Carmelite family expressing his best wishes and inviting all members to celebrate the Feast, beginning with the Novena for the Feast of Our Lady of Mount Carmel from 7 to 15 of July 2014. This custom of the Novena of Our Lady of Mount Carmel before the feast is a long tradition and is observed by many Catholics throughout the world. In his letter the Prior General invites us to be united in contemplating, sharing, increasing the beauty which is all around us (even, if at times, somewhat hidden) because Carmel has been closely linked to beauty. The Feast of Our Lady of Mount Carmel will be celebrated with a special Mothers' Mass at 10.30am on Sunday 20 July at the National Shrine of Our Lady of Mount Carmel, Middle Park. Visit our Justice, Peace and Integrity of Creation page to download resources for preparing for and celebrating NATSIC Sunday. Resources include: Liturgy preparation, reflections, homily notes; activities for children and young people; prayer suggestions; personal stories; statistics and clip art. Links to multimedia resources are also included. The material is produced by the National Aboriginal & Torres Strait Islander Catholic Council. Our deacons, Angelino Dos Santos and Martinho Da Costa, were farewelled in a number of celebrations over the last weekend as they prepare to return to East Timor prior to their Ordination on 30 August. Fellow East Timorese students gathered at the Carmelite Priory at Middle Park on Saturday 28 June for a BBQ lunch. Parishioners of Port Melbourne/Middle Park Parish gathered at the 10.30am Mass on Sunday 29 to thank Angelino and Martinho for their ministry in the parish. Mass was followed by morning tea and the opportunity for parishioners to say their personal farewells. After Mass 15 Carmelites gathered at Middle Park Priory for a farewell lunch. We wish Angelino and Martinho well as they return home to East Timor to continue their preparation for Ordination. The June issue of our Justice, Peace & Integrity of Creation newsletter is now available for download. Br Matthew Tonini made his first profession of vows as a Carmelite on Sunday 22 June. Matthew recently returned to Australia after completing his Novitiate at Brandsma Priory, Middletown, NY, USA. Surrounded by his family, Carmelites from Australia and Timor Leste and parishioners Matthew made his profession during mass at the National Shrine of Our Lady of Mount Carmel. Matthew, the eldest of 8 children, is a qualified teacher and holds an honours degree in Science. The new Lay Carmelite National Council of Australia met on the weekend of 2 – 4 May at the Benedictine Abbey, Jamberoo, amidst quiet solitude bedecked with stunningly beautiful Autumn leaves. Council members are: Fr Paul Gurr (Provincial Delegate), Chris Wade (Moderator), Angela Zakarias (Secretary), Norm Harding (formator) and Ben Bekema (Treasurer). During the meeting plans were made for visits to the New Zealand, Rockhampton, Wentworthville, Towoomba, Jamberoo and Adelaide. We warmly congratulate our new Deacons, Br Roque Soares Da Cruz and Br Carlito Da Silva on their ordination as Deacons on Pentecost Sunday, 8 June. The ceremony took place at the Diocesan Seminary Chapel at Nita on the island of Flores (Indonesia) where Roque and Carlito are completing their ministerial studies. Fr Wayne Stanhope (Director of Formation) recently led a retreat for Br Paul and Br Francis, two young Carmelites preparing for Solemn Profession in Vietnam. The 30 day retreat was an immersion in the richness of the Carmelite Tradition. Paul and Francis will make their Solemn Profession in November this year. There are 3 communities of Carmelites in Vietnam: Mount Carmel, where 6 brothers in First Profession live; St Therese, where 10 candidates for the Order live; and St Joseph's, the Pastoral house where 3 priests who minister to the people live. Another 23 young men are in Vocational Accompaniment discerning their call to the Carmelite Way. During Evening Prayer at Fatuhada community (Dili) on 4 May we formally welcomed into the pre-Novitiate 8 new candidates: Jacob Pereira dos Santos, Caitano Soares Da Silva, Jacob Dos Reis Carvalho, Francisco Soares Borges, Paulo Martins de Araújo, Jerónimo Nunes, Henrique da Conceicão and João Fernando Cabal. All the Carmelites from Hera community were present as were some of the Hermanas Carmelitas sisters. Evening Prayer was followed by dinner and dancing. We wish these candidates a long and fruitful journey in Carmel. Corsini House at Whitefriars College has built a strong partnership with its charity, Doncare over the past 2 years. As well as providing financial support, more importantly we encourage students to show ‘Faith in Action’. success as we prepared some delicious meals which were much appreciated by all the Doncare staff and guests that attended the event. 2015 marks the 500th anniversary of the birth of St Teresa of Jesus (Avila). A special pilgrimage has been organised by Carmelites Together, an association of all the branches of the Carmelite Family in Australia. Led by Fr Greg Burke OCD and Fr Paul Gurr OCarm this 26 day Carmelite journey through Spain will take you to Sergovia, Alba De Tormes, Salamanca, Las Batuecas, Avila, El Escorial, Ubeda, Granada, Seville, Cordoba and Toledo. Bookings are now open for the pilgrimage which departs on Sunday 3 October 2015. Click below to view the pilgrimage brochure and booking form. Members of the International Formation Commission met in Rome from 19 to 24 May 2014. Those who attended were, Onesmus Muthoka (Ken), Krispinus Ginting (Indo), Jose Alex Valavanattu (Ind), Desiderio García (Arag), Wayne Stanhope (Aust), Noel Rosas (Phil), Quinn Conners (PCM), Albeiro Luis Romero (Ita-Col) and Giampiero Molinari (Ita), Benny Phang, General Councillor for Formation and Noel Rosas, Executive Secretary for Formation. revision of the Rite of Solemn Profession. The practice of compassion is understood to be as important for health as physical exercise and healthy diet. Major universities around the world are now investigating and proving the importance of compassion, contemplation and meditation. In this forum, specific research outcomes from Stanford University and the Oxford Mindfulness Centre will be presented. This workshop is an exciting opportunity to not only hear about this research but more importantly to engage us in building a compassionate presence individually and in the workplace. This event is hosted by the School of Prayer, a program of the Melbourne Archbishop’s Office for Evangelisation. The School of Prayer aims to provide information and resources promoting new and creative forms of meditative prayer suited to contemporary needs. Damien Peile from The Carmelite Centre Melbourne has contributed to planning this workshop. Dr Lynne Reeder and Rev Dr John Dupuche will lead this session. Thursday 19 June 9.30am-2.30pm at Thomas Carr Centre, East Melbourne. The Spirituality of the Poem though the eyes of 20th century artists. Join us at the Carmelite Centre for an exploration of the types of punishment in the Inferno, modes of penitence in the Purgatorio and varieties of spirituality in the Paradiso through text and images. William Johnston, international historian and lecturer, will lead this fascinating session using several dozen 20th Century paintings relevant to specific scenes in Dante's Divine Comedy. Tuesday 10 June from 7.00pm to 9.00pm at The Carmelite Centre, 214 Richardson Street, Middle Park 3206. Over the next few months there will be quite a number of celebrations for our Carmelite Family. The Provincial Council has announced the date for the Ordination to the Priesthood of Angelino Dos Santos and Martinho Da Costa which will take place on 30 August in Lospalos, Timor Leste. Roque Soares da Cruz and Carlito da Silva are preparing for their ordination to the Diaconate in Flores on Pentecost Sunday, 8 June. Matthew Tonini will make his First Profession of vows as a Carmelite on 22 June during Mass at 10.30am at the National Shrine of Our Lady of Mount Carmel, Middle Park, Victoria. Carlito da Costa Araujo, Calisto Cab Sila and Fausto Tilman de Arajuo will make their Solemn Profession of Vows on 19 July in Hera, Timor Leste. During the same mass Silveste Alves, Anacleto Guterres Da Costa, Jose Natalina Freitas, Frangelino Isaias Ximenes, Agustinho Da Conceicao Lobato Lourdes and Filomena Proto Oliveira Guterres will make their First Profession of Vows. Following these celebrations there will be 34 Solemnly Professed friars, 28 friars in First Profession, 3 Novices and 13 pre-novices in the Carmelite Province of Australia and Timor Leste. We offer our prayer and congratulations to all these brothers marking significant steps on their Carmelite journey. Take a look at our JPIC page where you'll find resources and articles on current Justice & Peace issues. Whitefriars College students Chris Gozali, Hugh Vezey, Charles Dalziel and Michael Stringer (Social Justice Captain) attended the 2014 St Vincent De Paul College Conference recently. During the conference each had the opportunity to take part in different sessions. Chris attended the session about the StVdP Soup Vans in Melbourne. "Soup vans are not just about the food, they are all about homeless people and their need for love." At the session on homelessness Hugh learnt "that HOMElessness is not simply ROOFlessness. Homelessness refers to everyone that doesn’t have a place that they can feel safe in, have personal privacy in and a caring environment to live in". Charles had the opportunity to learn about the homeless community in Melbourne. He discovered that they "are like a family, that they are extremely respectful of one another and that volunteering can be very personally rewarding and give you a feeling that is indescribable". Michael learnt about "about society’s misconceptions about people that live on the dole and how a variety of different people end up on welfare. In fact, Australians on the dole are classified as living below the poverty line". Michael said that "The Conference highlighted the variety of opportunities that we have to become more involved in helping those less fortunate than ourselves and we look forward to putting what we learnt into practice." Carmelites contribute to YTU soccer win! Brothers Angelino Dos Santos, Martinho Da Costa, Januario Pinto, Martinho Da Cruz Lemos and Agedo Bento were part of the winning Yarra Theological Union Soccer Team in the annual Brotherhood Cup held on 17 May. Redemptorist, Divine Word Missionaries and Carmelite students made up the winning team. The opposing team was made up of Salesian, Dominican, Corpus Christi, Jesuit and MGL students. The match was held at Salesian College, Chadstone, Victoria. This issue deals with the 2014 report of the Intergovernmental Panel on Climate Change and the implications of global warming for food production, the healthy development of children, weather-related disasters and the spread of infectious diseases. Also in this issue is information about a report on human trafficking in the state of Louisiana, USA. On 1 June the Carmelite Commission for Justice, Peace, and the Integrity of Creation will be honoured by Pax Christi Metro New York at its annual Peacemaker Awards for its ministry to people in need and its efforts to effect social change. You are warmly welcome to join us for our Mass of Healing and Anointing on Saturday 24 May at 6.00pm at the National Shrine of Our Lady of Mount Carmel, Middle Park. This Mass is offered for all those in need of healing and peace in body, mind or spirit. During the Mass everyone will be invited to receive the Sacrament of Anointing - a rite of anointing with Holy Oil and prayer for recovery. You can send us the names of people you would like prayed for during the Mass of Healing and Anointing. For thousands of years meditation has been recognised for its remarkable benefits for body, mind and spirit. Join Meme McDonald for a nourishing day exploring techniques which will help you craft your own personal space and time for meditation. Saturday 24 May 2014 10.00am-3.00pm at The Carmelite Centre, 214 Richardson Street, Middle Park 3206. The Vine, the quarterly publication of the Australian Lay Carmelites is now available. Michael McGartland, Principal Clinical Psychologist at Alfred Health, and Anne Booth, Clinical Child Psychologist, explore the relationship of some classical studies in psychology with our experiences in everyday life. Some questions which will be discussed are: How much are we influenced by our environment? What have we learnt from studies of infant-parent interactions? Is the child the parent of the adult? and How is it that good people can do bad things? At Mount Carmel Parish, Coorparoo (Qld) parishioners are being invited to donate a rose bush in celebration and memory of mothers. Fr Paul Sireh OCarm (Parish Priest) says that a new garden bed has been prepared on the left-hand side of the driveway entrance to the Church. It will become a permanent memorial of thanksgiving for mothers. Mothers' Day Roses are on sale at Mount Carmel Parish, Wentworthville (NSW). The roses will be placed around the altar on Mothers' Day. A Mothers' Day Card will be sent to each mother for whom as rose is bought. For those mothers who have died, the card will be placed with the rose at the altar. All proceeds will go towards the education of our young East Timorese Carmelites studying in Melbourne. Join our Spiritual Reading Group at the Carmelite Centre on Tuesday 20 May 4.30pm-6.00pm as we explore Simon Carey Holt's book, Eating Heaven - Spirituality at the Table. Sitting down at a table to eat is such a normal thing to do that we rarely ponder it beyond the simple inquiry, ‘What’s for dinner?’ Scratch a little deeper and you discover that it's something so laden with meaning and immersed in human longing and relationship that it takes on sacred dimensions. No wonder eating and drinking are mentioned so much in the Scriptures. Simon Carey Holt is a trained chef, teacher, social researcher, minister of religion and homemaker. In this book, he draws on experience and research to explore the role of eating in our search for meaning and community. He invites us to sit at the tables of daily life – from kitchen tables to backyard barbecues, from cafe tables to the beautifully set tables of Melbourne’s finest restaurants – and consider how our life at these tables interacts with our deepest values and commitments. Fr Ken Petersen OCarm and Sr Kathleen Murphy OP will host an Inter-Faith Forum and an Inter-Faith Service as part of the 2014 Warburton Harmony Festival. The Festival, billed as "a unique celebration of belonging, hosted by a creative community in a beautiful environment", runs from 16-19 May. The Inter-Faith Forum will be held from 2.00pm - 4.00pm and the Inter-Faith Service from 4.30pm-6.00pm on Sunday 19 May in the Mechanics Hall, Warburton. Both events will involve people from a variety of faith traditions. The British Carmelites gathered for their Provincial Chapter on 25-28 February and 5-9 May 2014 at Aylesford Priory, Kent. You are invited to join the Sancta Sophia Meditation Community, Warburton, to celebrate the life and message of Bede Griffiths. Embraced by Love is the theme of a day of readings, chants, meditation and the Eucharist on Saturday 10 May 10.00am to 3.00pm. Cost: $30.00. Please bring some lunch to share. Mark Angelovski, Lachlan Mahon and Jack Schroder represented Whitefriars College at the Anzac Day ceremony held in Templestowe Park on Thursday 24 April. The Ceremony was attended by hundreds of students and teachers from schools in the surrounding Manningham area as well as Members of Parliament and the Mayor of Manningham. Each school had an opportunity to lay a wreath at the memorial. those that fought in the wars representing Australia" Whitefriars College Student, Jack Schroder said. The May issue of the Justice, Peace and Integrity of Creation Newsletter is now available. Fr Wayne Stanhope, Director of Formation for our Province, has been appointed to the International Carmelite Formation Commission. The Commission is responsible for offering international opportunities for ongoing formation for Carmelites, courses for those involved in formation ministry and for continuously updating the Order's fundamental document on formation, the Ratio Institutionis Vitae Carmelitanae. The latest version of the RIVC has just been published under the English title: Carmelites Formation: A Journey of Transformation (see below). The new International Commission will hold its first meeting in Rome towards the end of May. A new edition of the Ratio Institutionis Vitae Carmelitanae, the Order's fundamental document on formation has been released. Known as the Ratio or RIVC for short it has recently been printed in book form in English, under the title Carmelite Formation: A Journey of Transformation. The new edition has changes suggested by Provincials and Formators across the Order. New or revised additions relate to the vows, human development, silence, liturgy, work, inculturation and child protection. These texts were presented and refined at two international gatherings of Formators and Provincials. Announcing the release of the new Ratio, Fr Fernando Millán (Prior General) said, "formation is not only something that is academic and intellectual. It is also a question of an attitude that is both spiritual and life-oriented". Such an attitude "means to remain always attentive to the will of God and to our identity, which is fundamentally a response to that will, and to the signs of the times, through which, despite all their ambiguity, God is communicating something to us." "I believe that we can all be enriched by reading it and we can feel challenged and encouraged in our vocation, whatever our age may be or whatever stage of formation we find ourselves in now," he said. Cesaltino Dos Santos, Juliao Dos Santos and David Soares began the first year of their novitiate on 14 December 2013. Fr Bruce Clark (Regional Prior and Novice Master) formally admitted them in a ceremony at Sáo Elijah community chapel. Carmelites from Timor Leste attended the ceremony together with many family members and friends of Cesaltino, Juliao and David. The reception of Cesaltino, Juliao and David bring the total number of novices belonging to our Province to ten. See more photos of the Reception Ceremony. The April issue of the Justice, Peace and Integrity of Creation Newsletter is now available. It is a very natural way of prayer and was developed and practised by the early monks and so came to the first Carmelite hermits.Visit our Lectio Divina page.These texts are prepared by a group of international Carmelites to help all those who use the Lectio Divina method of praying with the scriptures. The March issue of the Justice, Peace and Integrity of Creation Newsletter is now available. The memorial of St Nuno Alvarez Periera (Carmelite and patron saint of Portugal) has been changed from 1 April to 6 November. The previous date, normally in Lent or the Octave of Easter, meant that St Nuno's feast was not often able to be celebrated. The online version of the 2014 Carmelite Liturgical Guide has been updated to reflect this change. The February issue of the Justice, Peace and Integrity of Creation Newsletter is now available. Carmelite Communications has published the 2014 Carmelite Liturgical Guide. The Guide lists the various Carmelite solemnities, feasts and memorials as well as the usual liturgical celebrations of the Roman Calendar. The Guide is an indispensable help to those wishing to celebrate Mass and the Prayer of the Church according to the Carmelite Calendar. Copies of the Guide can be purchased from Carmelite Communications for $5.00 plus postage. The December issue of the Vine is now available. Seven new pre-novices were received into the Carmelite Community at Fatuharda, East Timor on Sunday 24 February by Fr Bruce Clark (Regional Prior). Luis Mendonça Maia, Marcelino Mendonça, Bemvindo Antonio Alexio Martins, Luis Baptista, Francisco Xavirius Vieira Martins, Estevaõ Mendonça de Jesus and Estevaõ de Deus Gomes (above) join the four second year pre-novices in the community. Fr Augusto Galhos is their formator.